Do you need a new car but are afraid of getting locked in for 3 years? Do you want the practicality of an SUV for the week but the fun of a convertible on the weekend? If you have any of those concerns or maybe you just are obsessed with that new car smell, Mercedes-Benz is now addressing them. No, car subscription services aren’t something new. Manufacturers like BMW, Audi, and Cadillac, just to name a few, are also trying out the model but Mercedes has finally hopped on the bandwagon. Ranging from $1,095 all the way to $2,995 a month, you can take advantage of their concierge subscription car program that includes a lot of perks that look very appealing. The access to Mercedes’ fleet will depending on what tier you’re paying for (Signature, Reserve and Premier) and availability. Included in this package is roadside assistance, maintenance and insurance which consolidates your automotive expenses all into one monthly bill. Create an account on their app, input your payment method and, assuming your credit report and driving record check out, you’ll gain access to a wide array of Mercedes-Benz vehicles all at your disposal. 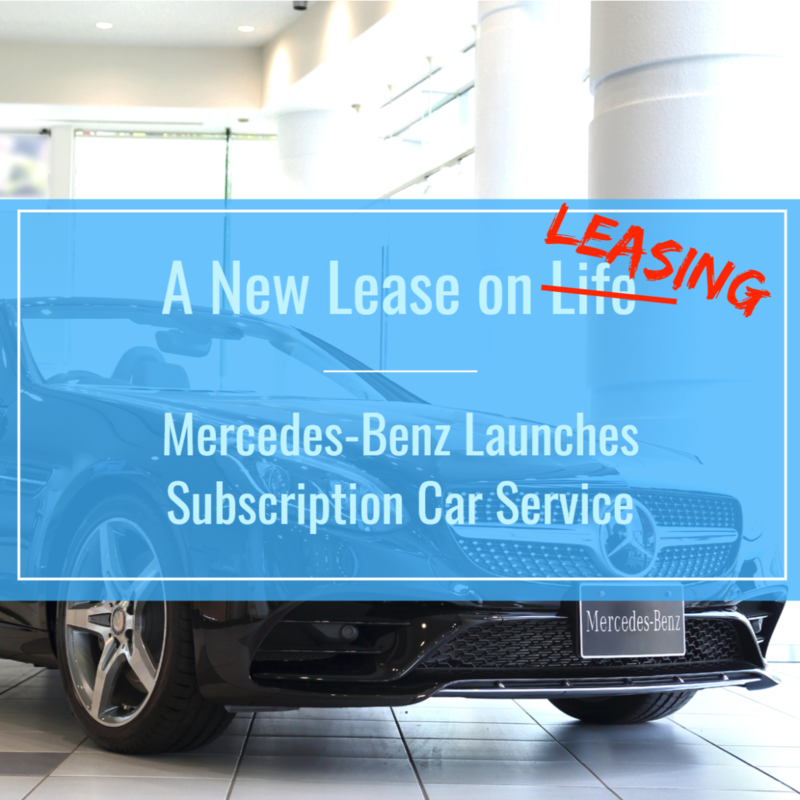 The only issue here is, unlike Volvo who has their subscription service live nationwide already, Mercedes’ program is just in the pilot stage in two cities – Nashville, Tennessee and Philadelphia, Pennsylvania. Once you’re in, the process seems simple. Pick a car in your respective teir and Mercedes’ white-glove concierge service will deliver the car to you with a full tank of gas ready to go. That S-Class you’ve been using during the week become a bore when you’re itching for a spirited drive on PCH? Schedule a flip and you’ll have your SL550 by the time the weekend rolls around – just don’t forget your sunglasses. Want to learn more? Visit the Mercedes-Benz Collection here.